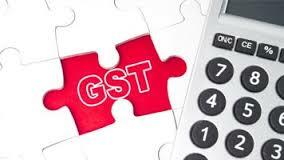 The move towards deciding the GST rate has gotten delayed again which is a bit disappointing it was assumed that these numbers would be out by the end of the three-day session and that the next steps would be taken. One does hope that the next Parliamentary session can take it up after a decision is reached in early November and have it passed so that we can be ready for rolling it out by 1 April 2017. Quite clearly the two most important parts of the puzzle of introducing GST after acquiescence from the opposition and states were deciding on the ‘rate’ or ‘schedule of rates’ that were to be imposed and second, the preparedness to implement the same. The former is evidently difficult because the way it has been presented by the government makes it too good to be true. Are we talking of a system which is very neutral in so far as that it ensures that the central government budget balances are not affected being revenue neutral rates. This structure would also compensate states adequately from what is generated so that everyone is better off and lastly, the rates are so designed that it the structure is non-inflationary. This is what in Economics is called a Pareto optimal situation where no one is worse off and some are better off. Assuredly, getting the numbers in place cannot be done very easily. Two solutions have been proposed by the central government which are very good starting points. The assumption to be made is that there will be 14% growth in revenue for the next year for all states so that the calculations can be made for future compensation. This has to be agreed upon, as some states may find this number unacceptable, even though it has been reckoned on a formula based on past performance of the state with the best years being considered. It can be argued that the state has done a lot to enhance future tax revenue and hence the past performance may not be indicative of the future. This issue will work at the back of the mind especially if this rate is going to be fixed on a near-permanent basis. The second point relates to the various rates and it now appears that we are talking of a ‘four rate structure’, 6%, 12%, 18% and 26% as the starting point of discussion. There can be a cess added at the higher end, and some goods would be out of the purview like petrol and tobacco which will have separate structures. Gold will go with a lower rate of 4%. Hence the GST will not be a single rate but multiple rates with various cesses added which will still keep the accountants in business. Calculations have also been made to show that the new structure would be inflation-neutral. But the heroic assumption made is that if prices are to come down, they will be passed over to the consumer, which does not generally happen. Why should there be objections from the states in case there is a compensation structure already in place? The issue is that products manufactured in a particular state could get disadvantaged in terms of incentives in case they fall into a higher category as it will militate against their growth prospects. Therefore both the rates as well as the categorization of products into these buckets will have to be defined well to get a buy-in from the states. Further, the issue of cess on luxury products could come in the way of an agreement, as even though it sounds a fair way of imposing taxes, the producers would get affected. The postponement of this decision to November should hopefully also lead to the logical conclusion of a decision being taken or else this decision could just get pushed into the next year, which would dilute this reform substantially as there has been a lot of urgency shown so far to implement the same. With the state elections in UP, Punjab, Uttarkhand, Goa and Manipur coming up, there is a political angle to agreeing on these rates as it could be used strategically to move the electorate to the extent it makes a difference. However it is necessary to have it passed so that we actually get past all these impediments which will also enhance the ease of doing business climate. Further, as there will be a hiatus between the decision on rates and the final implementation of the new tax structure, it would be prudent if the tax machinery is put in place for rolling out the same as it requires substantial awareness and education to spread the word about what the GST is about. Also the software should be in place and tested so that the processes involved are seamless. There would be additional work to be done for service tax as this would require registration in all states where the company operates. A thought here is that instead of treating the tax rates as being sacrosanct forever, the same should be rolled out over a three year time frame which should be permitted by Parliament. The assumptions relating to losses for states or earnings for the Centre by this four pronged rate structure may not be right to begin with and hence some bit of fine tuning would be required and should be permitted by statute. If this is agreed upon, then the Budget can start off with a certain bouquet on GST rates and the sharing arrangement which can then be modified over a specified period of time – say next three years before having it cast in stone. This would be a pragmatic way of going about it, as it will be more agreeable.